Everywhere you go, you see signs for "Free Wi-Fi." And oftentimes, that free Wi-Fi is useless. The problem is that the free Wi-Fi in the airport or Starbucks often isn't very good, especially if you have a lot of data to download. It's usually so slow you can't get anything done. So you either turn to a 4G connection, if you are so fortunate, or pay for a premium Wi-Fi service. Usually this comes in the form of a $10 per night fee in your hotel. The cost of that, plus other intangibles, costs businesses in Europe and North America at least $2.91 billion every year according to a report from iPass, a provider of global mobile connectivity, and Rethink Technology Research, a wireless technology research firm. The cost is high because mobile professionals "have an insatiable need for connectivity, as the report puts it, consuming on average 6GB of data every month. That's for users who spend on average six days a month working on the road. The more time on the road, the more data consumed, and the more money spent for access and lost through non-productivity. Based on an average salary figure and the number of hours dealing with slow connections, along with roaming costs and tariffs around Europe, Rethink estimated that the loss in productivity can cost businesses anywhere between $767 and $1,159 per mobile professional each month. The numbers go higher when roaming throughout Europe. "In Europe there is an issue with roaming between countries, which can be bigger than the whole bill," says Peter White, president of Rethink Research. "Politically the EU has been trying to eliminate roaming charges and bringing pressure to operators. The telcos charge a lot when roaming from one country to another because they have no relationship with the user. It's a bit of a gravy train for operators. If you are away three or four days, your phone bill is five or six times what it would be." The cost of connectivity varies across Europe and between Europe and North America. For example, North American mobile professionals travelling internationally incur costs of $205 to $1,459 per month. French mobile professionals paid the highest fee for travelling outside of Europe, with costs of $1,371 to $2,059 per month. By contrast U.K. mobile professionals paid between $155 and $1,124 per month, and German mobile professionals paid $350 to $1,241. When predominantly using cellular services within Europe, it would cost U.K. mobile professionals between $101 and $184 per month. In France the costs were $85 to $348 and in Germany the costs were $122 to $172. There is the alternative to Wi-Fi, cellular LTE, but White notes that LTE has data caps, which will be easily reached by a heavy mobile user, and then you find yourself paying for overages, again incurring expenses. "Maybe they will use LTE until get an overage charge, while others will take the overage and bill it to expenses. That's inefficient because the price goes out of kilter quickly. If you're going to be on the laptop seven or eight hours, you're going to blow the caps. That's what they are designed for," says White. 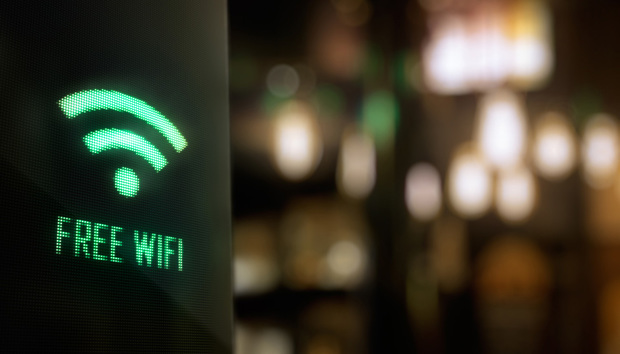 Jack Gold, president of J.Gold Associates, a mobile consultancy, notes that cheaper hotels often have free Wi-Fi while the high-end ones charge $10 to $12 for Wi-Fi. The question is, is that good enough to get work done? Probably not. "In this country if you travel often, you are far better off getting a 4G modem for your device and using it for your day-to-day use," says Gold. "Then you not only avoid Wi-Fi fees but you can use it anywhere you can get a signal." Gold's group did a study that looked at productivity gains from 4G and the cost of spending money on 4G vs. Wi-Fi. It found that the more you need wireless connectivity the better to go with 4G. "If you are a constant traveler, then it makes sense to do that because the productivity improvements you gain are much greater than the cost," he says. The bottom line is you have to look at what each user is doing, says Gold. "You have to know what people are doing to decide if it's cost effective. If you spend only 5 percent of the time on the road then it doesn’t make sense to spend a lot of money. If you travel 50 percent of the time then it’s worth the money because time is valuable. I think that's the way to look at it," he says.